Robert Wadlow is known to be the tallest man that ever lived, measuring at an incredible 2.72 meters (8 ft 11.1 in). He was born on February the 22, 1918 and by the age of 5 he was the same size as an average sized 18 year-old. Before he turned 10 he was already 187cm (6 ft 2 in), which is significantly taller than the average male height. Despite being seen as a remarkable human, due to his height, Robert suffered from a number of illnesses and weaknesses, particular within his legs and feet as he did not have much feeling there. He sadly passed away at the very young age of 22, after he was caught by a badly infected ankle blister which wasn’t properly treated, back in 1940. 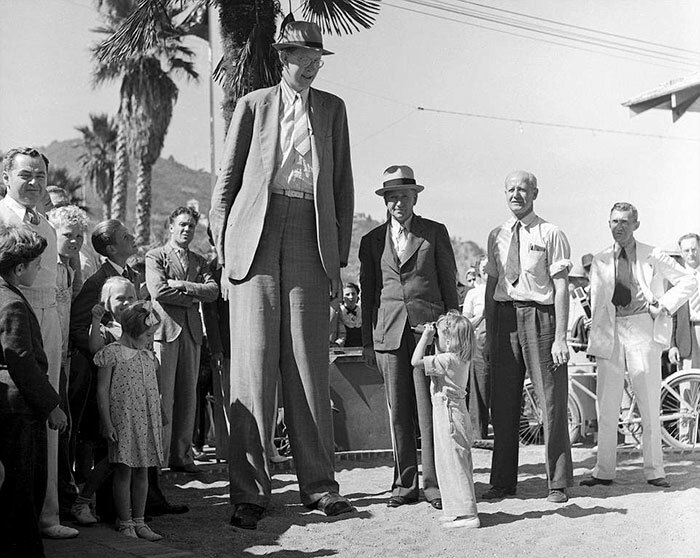 Pictures have emerged of the extraordinary and incredible life Robert Wadlow had, who is still considered the tallest man to ever walk the planet.